Looking for sweet harmonies, fabulous acoustic sounds, and all of your favorite cover tunes from the past few decades? 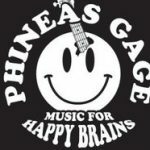 Look no further than Phineas Gage – the Mad River Valley’s acoustic power duo featuring Erica Stroem and Rob Williams. As as aside, when Erica Stroem isn’t singing with Phineas Gage she rocks the Mad River Glen ticket office!